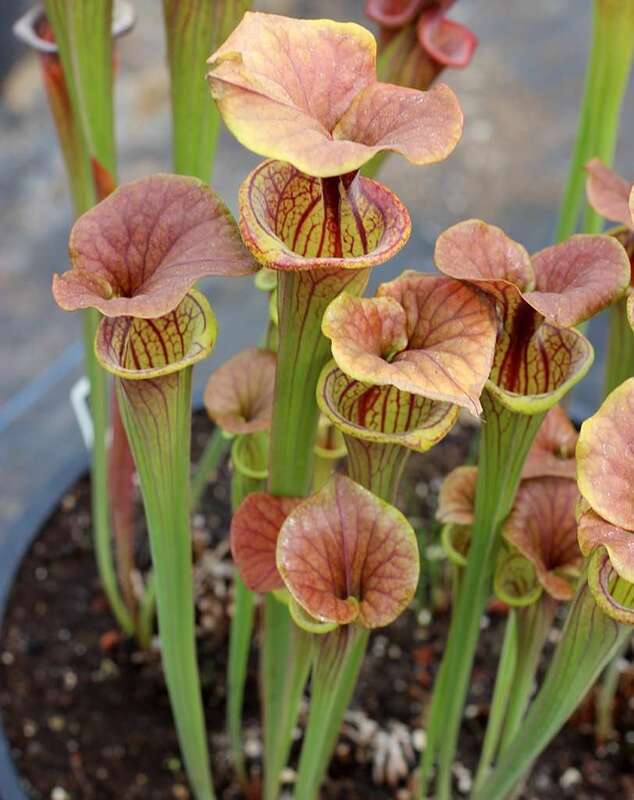 This gorgeous cultivar was bred by Alan Hindle in England and named after his wife by Peter D’Amato of California Carnivores. 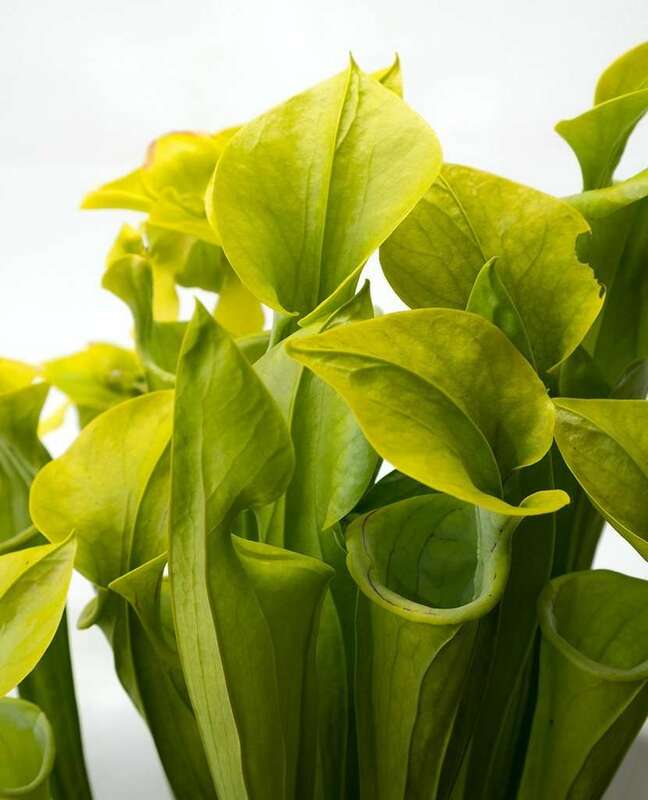 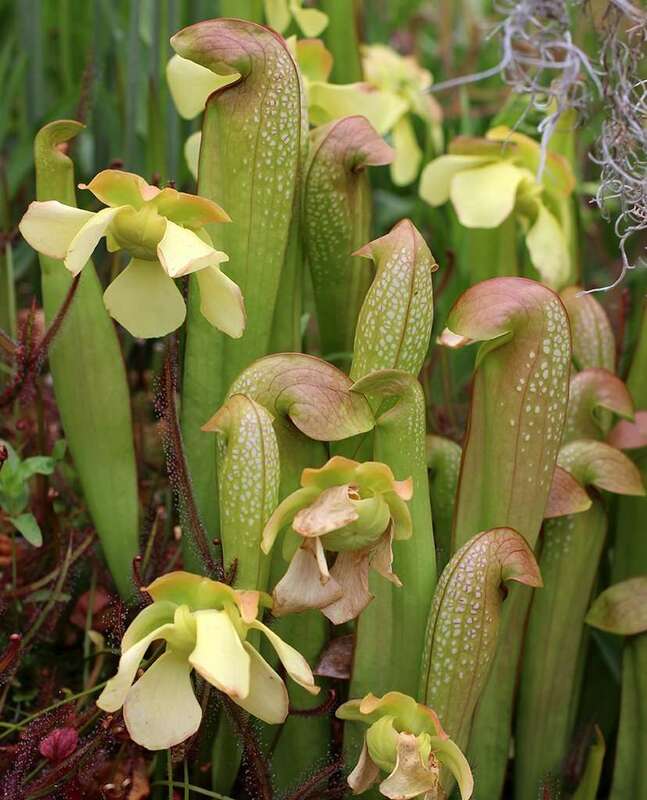 Parents of S. ‘Judith Hindle’ are from two separate clones of S. (p x f) x l. This is read as Sarracenia purpurea crossed with S. flava, then this offspring is crossed with S. leucophylla. 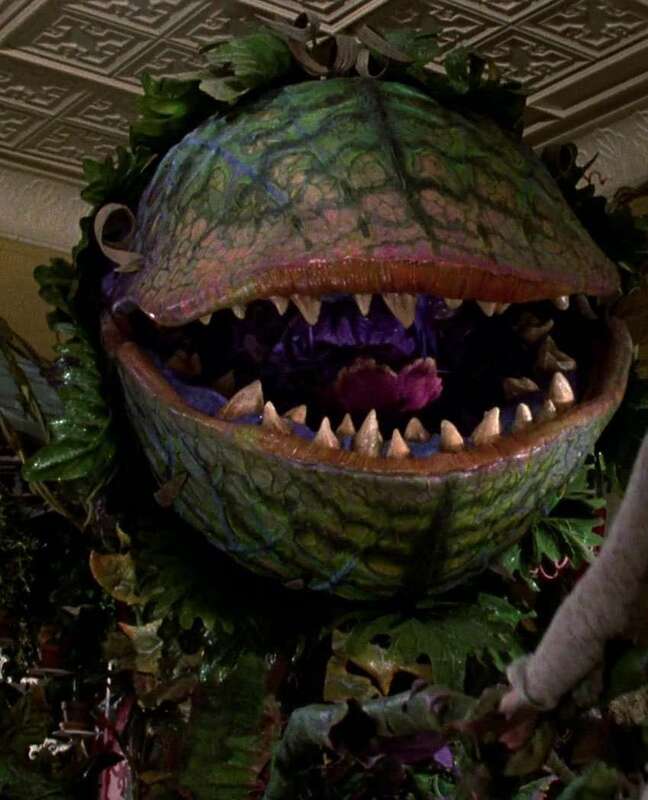 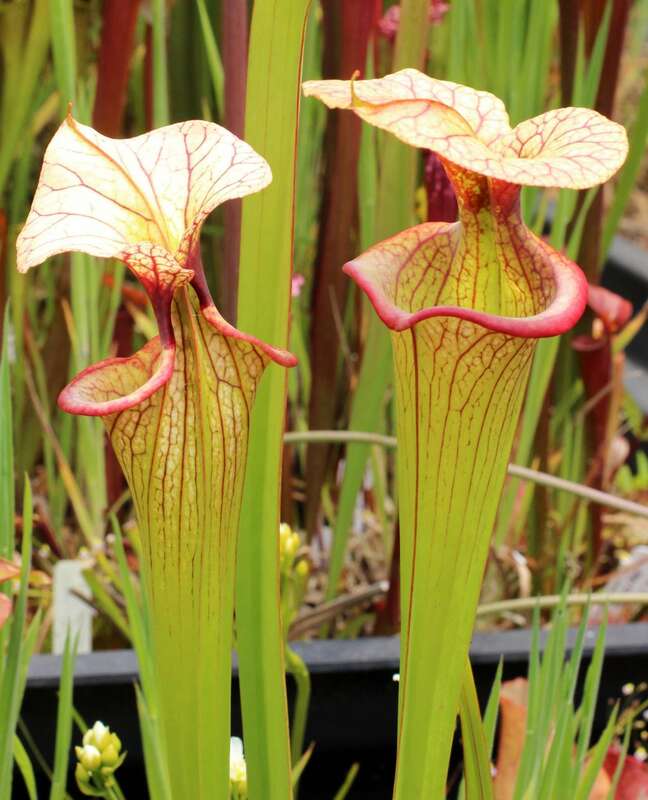 The plant has 8-12 inch pitchers with ruffled hoods. 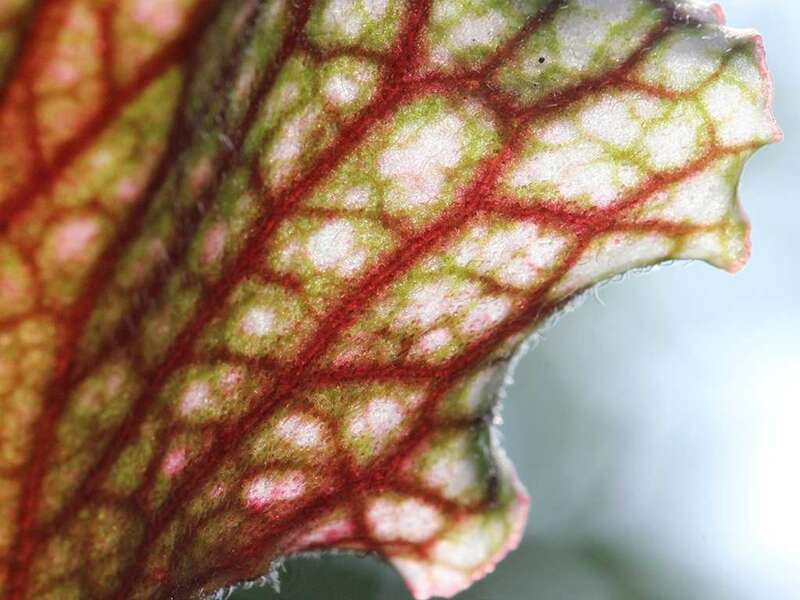 Coloration starts as a light green and turns deep red with white blotches with age and in full sunlight. 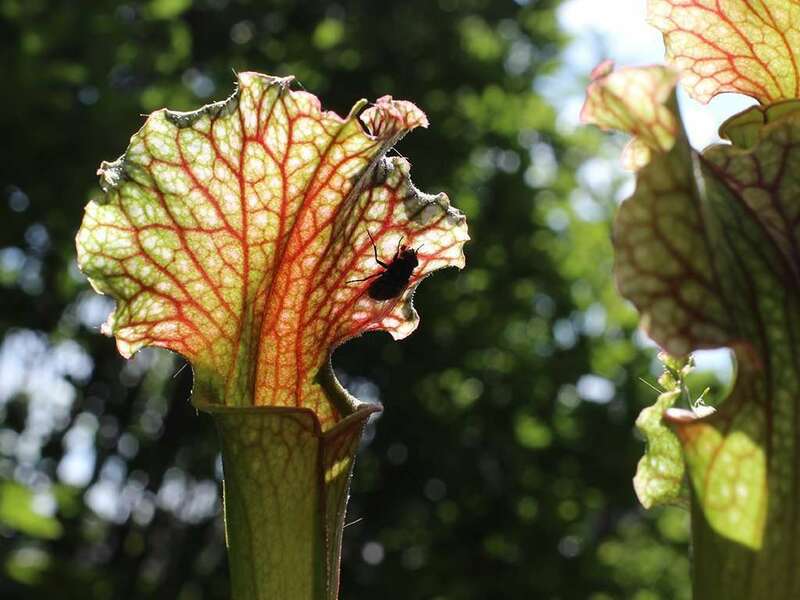 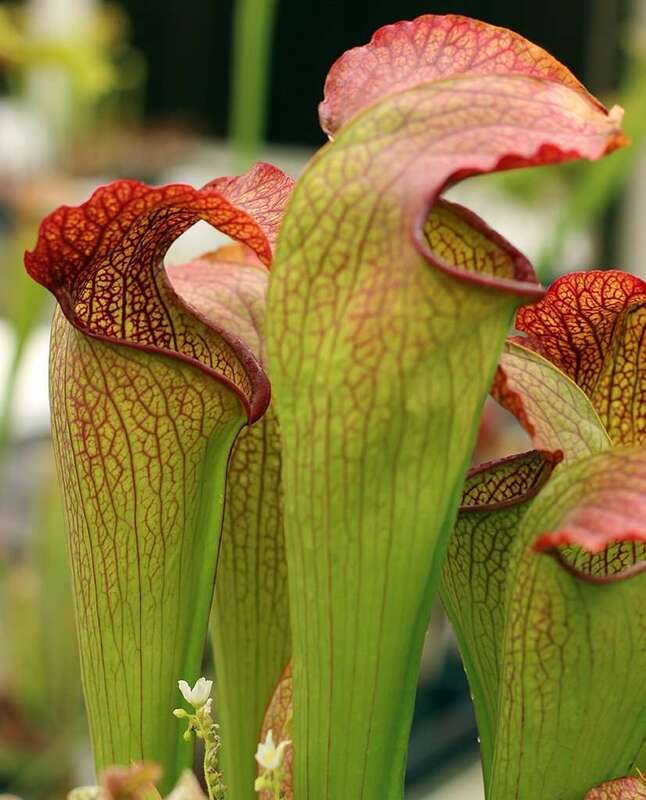 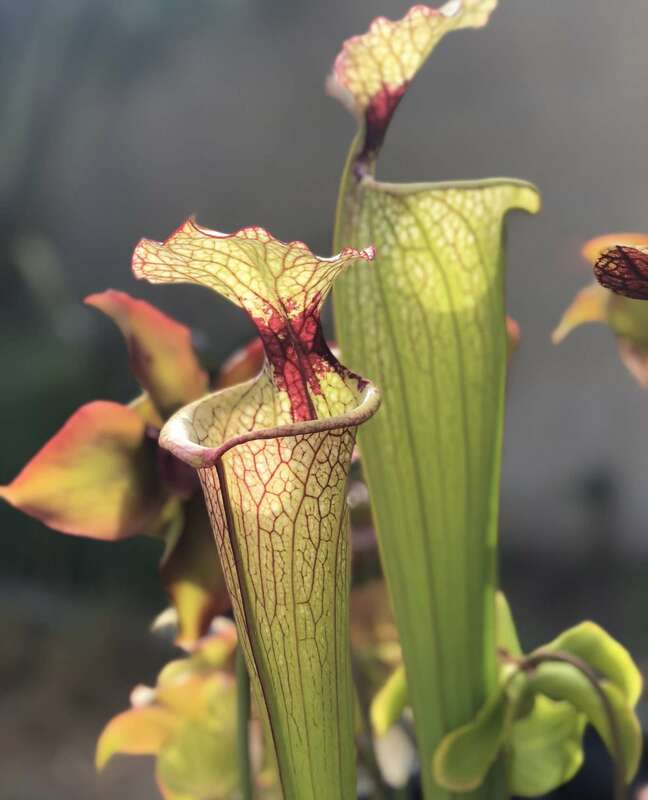 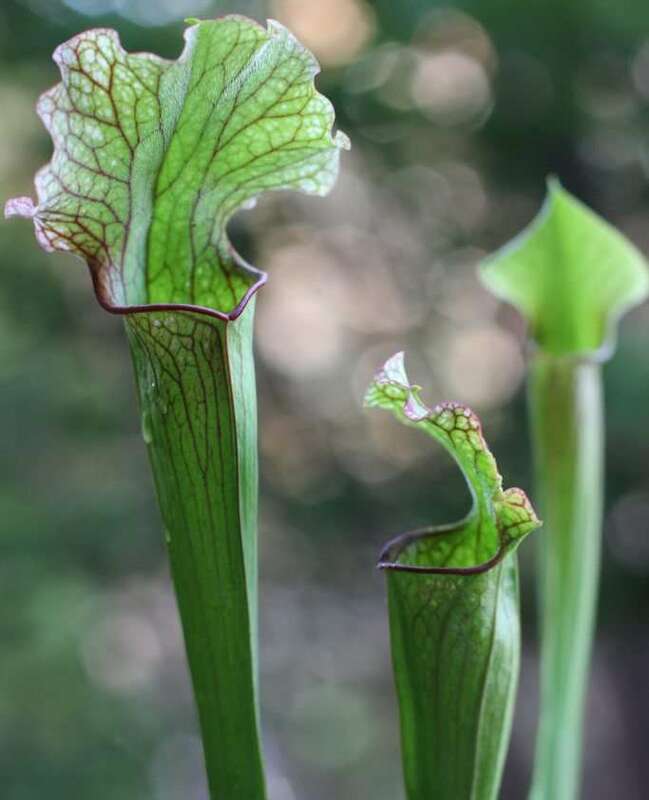 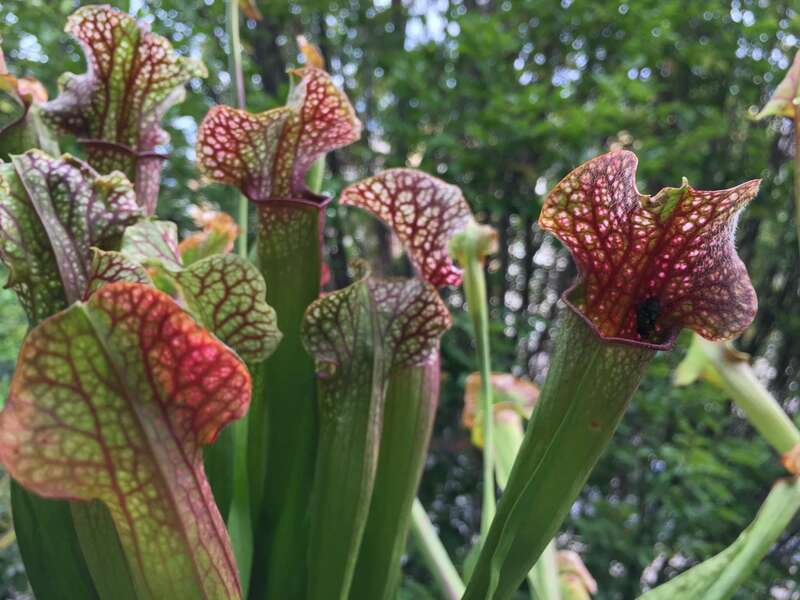 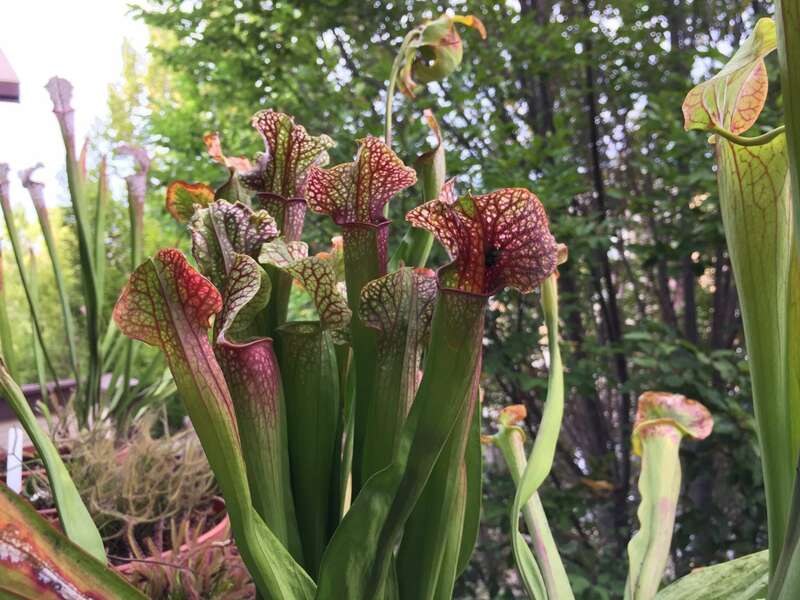 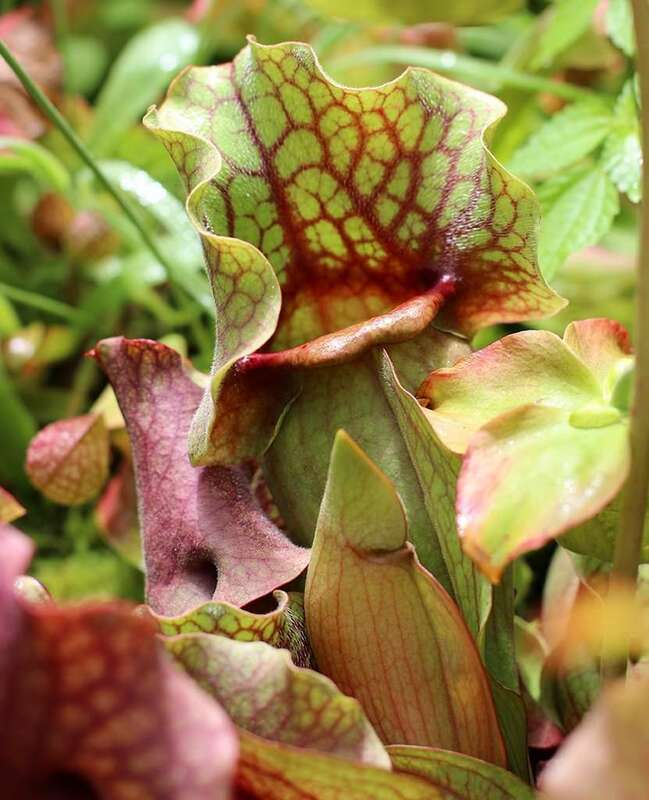 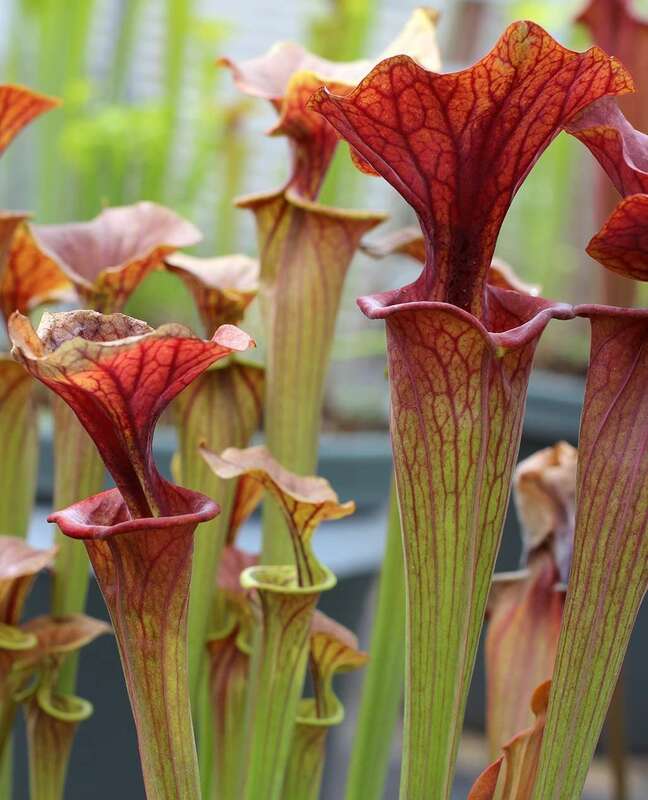 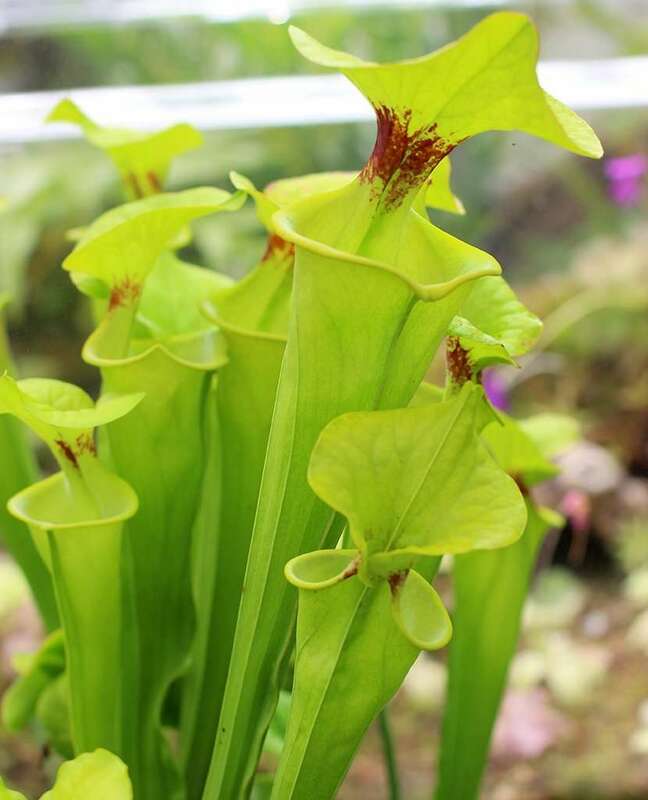 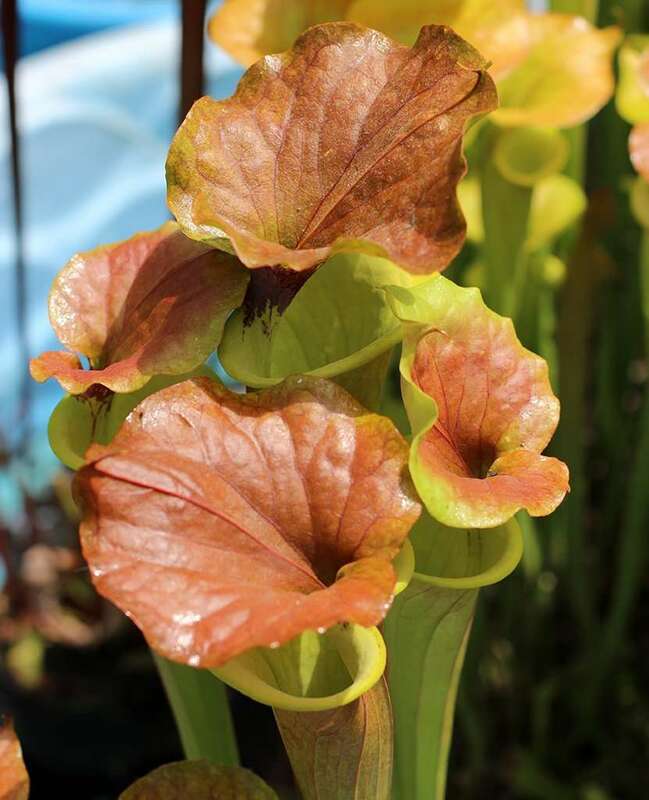 The traps on this pitcher plant demonstrate characteristics of the parents: Ruffled hoods and deep red coloration of Sarracenia purpurea, narrow pitchers of S. flava and leucophylla, and white pitcher splotches of S. leucophylla. 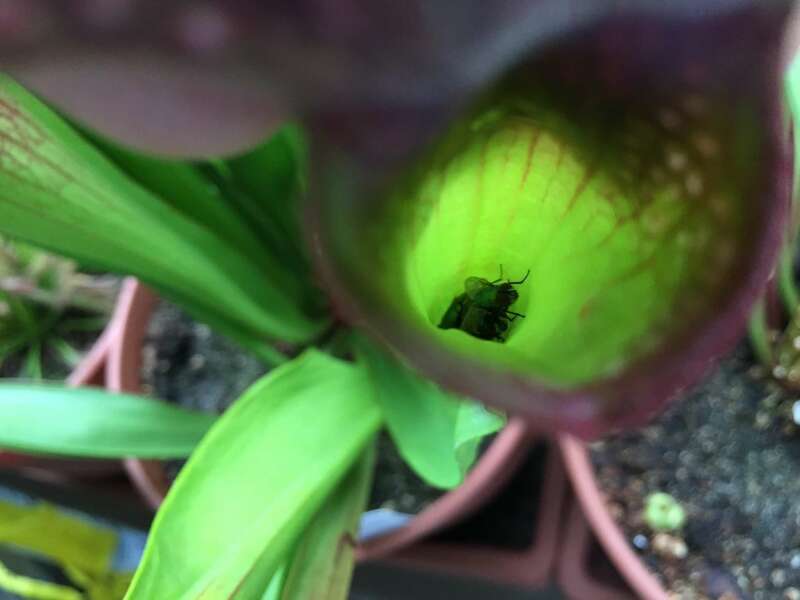 This pitcher plant is a ravenous wasp and fly hunter. 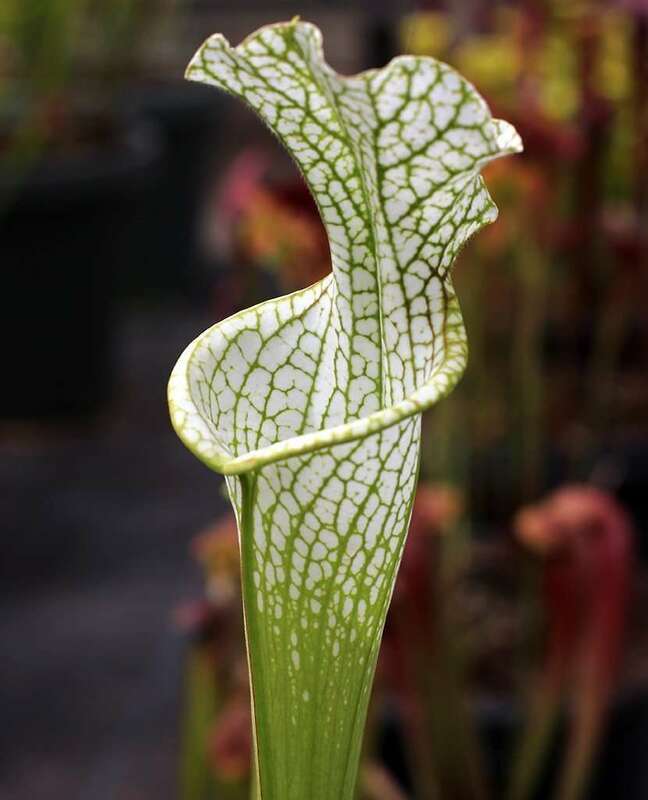 Most vigorous growth occurs during spring and early summer, but the plant does pitcher throughout the entire growth season. 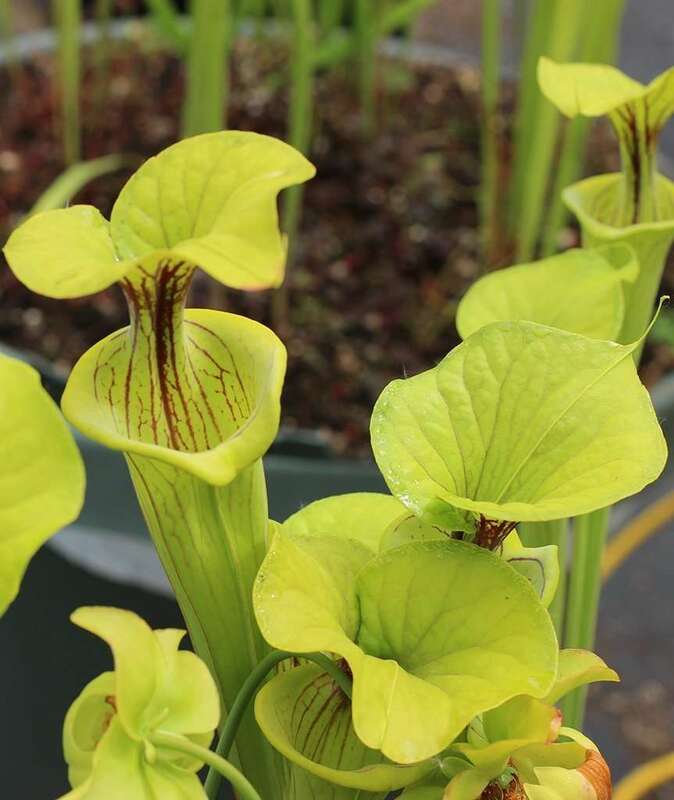 With age, this pitcher plant’s rhizome will produce a healthy number of offshoots that can be divided during winter dormancy to increase your collection.